It is dark under the huge trees. In this dark I feel spirits, remnants of an ancient past and the people who lived on this land for a long, long time, until we came. They are still here but we have shunted them aside, they were in our way. People who lived, loved, and made war on each other, just as we did, as we do. 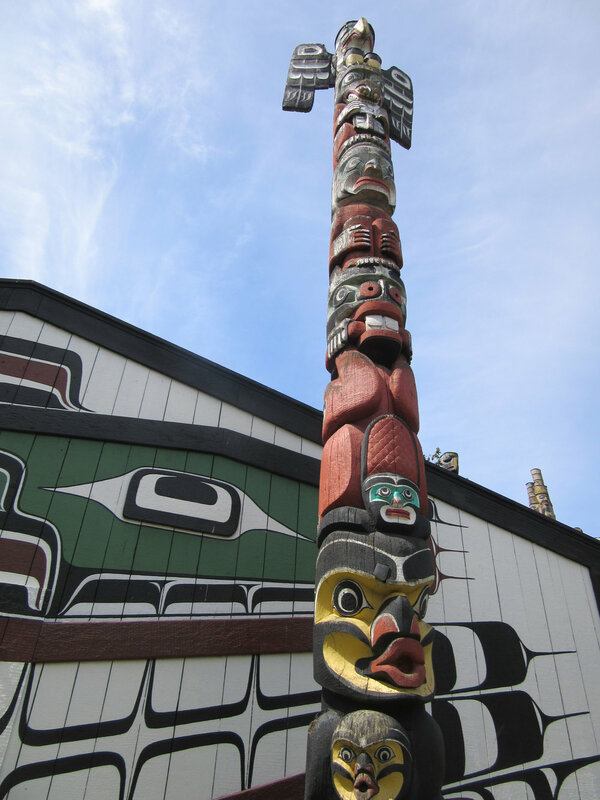 I have come to see some of the remnants of this culture, the Totems of Thunderbird Park.Through the gloom, these long shapes loom above me, and around me, demanding attention. They are carved into figures along their length, in sections, each section different. I am fascinated. I have studied art all my life, I am an artist, but I have never seen art so magical, so evocative of a past, so intricately and surely carved with total respect for the dynamics of form. This art rivals the greatest works in our Museums that we admire without hesitation. Yet we dismissed their culture as the work of savages, and tried to destroy it, trashing racial memory in the schools. It is dark under the huge trees. I feel the spirits, and I’m sad that so much is lost. I sense though that change is happening, change that honours ancient lore, and takes the best from what is to come. 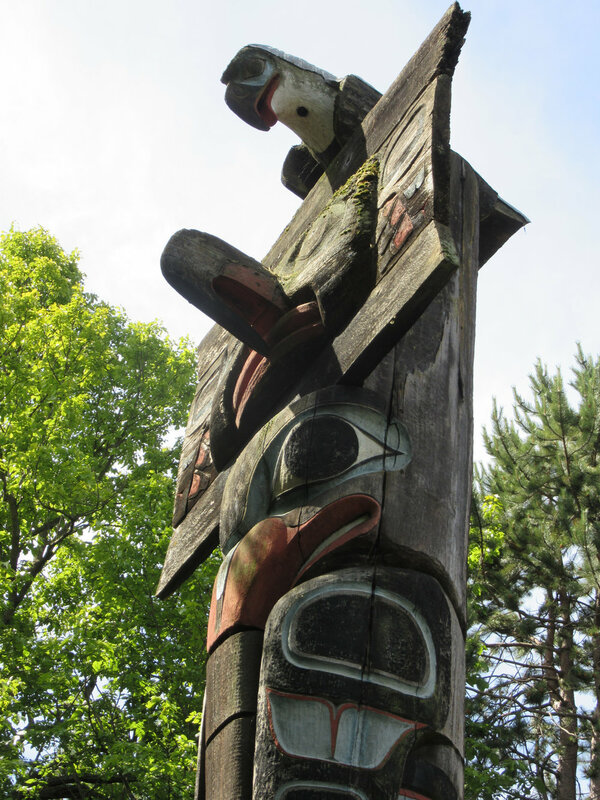 This magical little Park, on a busy street, with ancient Totems looming in the dusk, will it show the way?